A stag party is your mate’s final send off into happily married life – you need to make sure he goes out with a bang. 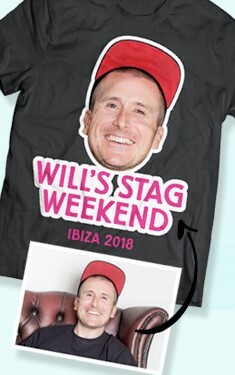 During the celebrations, you want the stag do cash to stretch as far as possible – and, to help you choose a destination on a budget, we’ve rounded up the cheapest stag party destinations from across the globe. Bon voyage, gents. With an unbelievable reputation preceding it, Budapest is probably the cheapest destination for alcohol you’ll ever visit. The price of a pint of beer in Budapest will literally blow your mind; starting at just €0.58 (47p), with premium lagers costing a whopping €1.31 (£1.06) – you’ll be fighting over who’s round it is next. Getting around is reasonable too. A ‘Daily Ticket’ is valid for 24 hours, and allows unlimited travel on buses, trams, undergrounds, trolleys, cogwheel railway and local trains within the boundaries of Budapest – costing only €5 (£4.04). With Budapest stag party packages starting from as little as £105 per person, for a three night bender - this place really is a bargain all round. Prague is a city where you’ll get tonnes for your money. The Czech capital is notorious for its cheap booze, wild nightlife atmosphere and abundance of gorgeous strippers. A standard bottle of beer will cost you around 35czk-45czk (£1.20-£1.35) - your round certainly won’t break the bank. For a delicious meal in Prague, to soak up all that cheap beer, you’ll be looking to pay 100czk (£3). Public transport is reasonable, too – with a ticket for the subway, bus and tram being 32czk (£1) for 90 minutes, 24czk (72p) for 60 minutes. 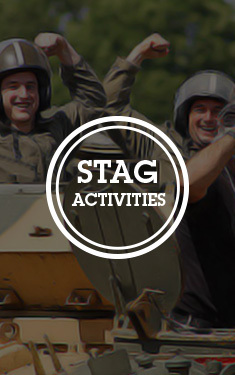 And, three nights amidst the Prague stag do mayhem, won't cost the earth - with packages from only £139 per person. The epic southern Polish capital is a stag do paradise. Not only popular due to its potent strength of alcohol, krack-ing nightlife scene, and alluring Polish women - but is cheap as chips, too. A local lager will set you back approximately 8zl (£1.50), with an imported beer costing only slightly more - certainly cheaper than your average pint back in the UK. An entire meal in the main square of Krakow will only cost you the equivalent of £3 - £5 on average - and the portions are massive, too. You’ll be able to fully line your stomachs before a big night here. With heaps of bargain stag party packages available in Krakow - you'll have plenty cash left over for those all-important pints. With a steadily growing party industry, this awesome Bulgarian city has a reputation of giving you a lot for your money. The cost of living in Sofia is around 60% cheaper than the likes of New York and London – which makes a huge difference to stag groups visiting the awesome Bulgarian city. Your average pint will set you back a mere 2.40 lev – the equivalent of just one pound. A hearty meal in an average range restaurant will cost approximately 10.00 lev (£4.20). There’ll be plenty of spare levs for bevs. Latvia’s capital and largest city draws in stag dos in their thousands from across the globe. And, with three night packages in Riga starting at just £153 per person - it's no surprise why. Typically, a pint of quality beer in any of the capital’s top bars will cost no more than €3 (£2.40), and a three course meal in a good restaurant should cost no more than €20 (£16). Transport around the city is super cheap, with taxis costing even less when you call in advance; single journeys on buses or trams cost on average only €0.5 (40p). It’s no surprise why the Slovakian capital is so popular. With plenty of cheap boozers lining the streets and beautiful Bratislavan babes everywhere to be seen – it’s almost as if this city was tailor-made for stag parties. A beer can cost anywhere from €1.20-€1.80 (£1-£1.50) and your average three-course meal will cost around €4.72 (£3.80) – meaning there’ll be plenty of cash left over for any other means of debauchery you should fancy (we’ll leave that up to your imagination).